The USKO is committed to providing you with a high quality sport karate service at an affordable price. We aim to provide supreme value to our customers with the services we offer, in the quality of well-designed programmes and the competitiveness of our price. Chief Instructor, Jon Robbins, has over 30 years experience in teaching karate and is a Wales Karate Federation level 2 Coach Assessor. Our students learn more than just how to kick and punch, they learn self-discipline, etiquette and respect, which can help them develop into better individuals. Our system is suitable for the whole family (minimum age 5 yrs) enabling you to spend some quality time together, having fun and keeping fit in a safe, friendly environment with like-minded individuals. Would you like more information on hours, classes and programs available at Cardiff United Sport Karate Organisation? Please contact the school with your questions. 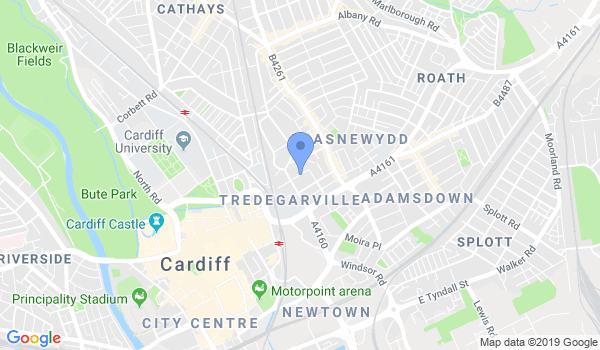 Update the details, Write a Review or Report Error of Cardiff United Sport Karate Organisation.